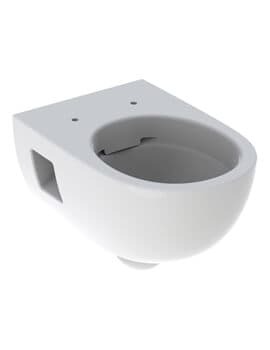 The Geberit Smyle Wall Hung Bidet is expertly crafted from a strong and striking vitreous china material and boasts a sleek and crisp bright white finish. 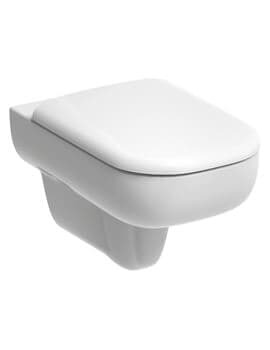 Featuring a hidden water supply connection and designed with a visible overflow, this product projects out from the wall 540mm and is comfortable for use by nearly any user. 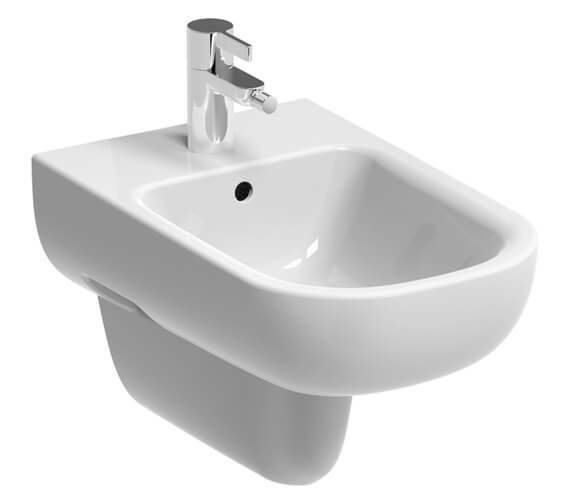 Suitable to use with single-hole taps with attached flexible hoses, this unit does not include the tap shown in the image along with it. 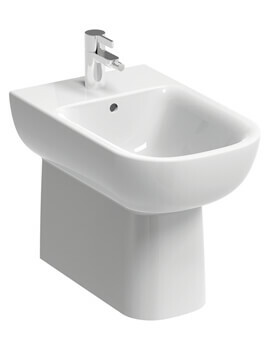 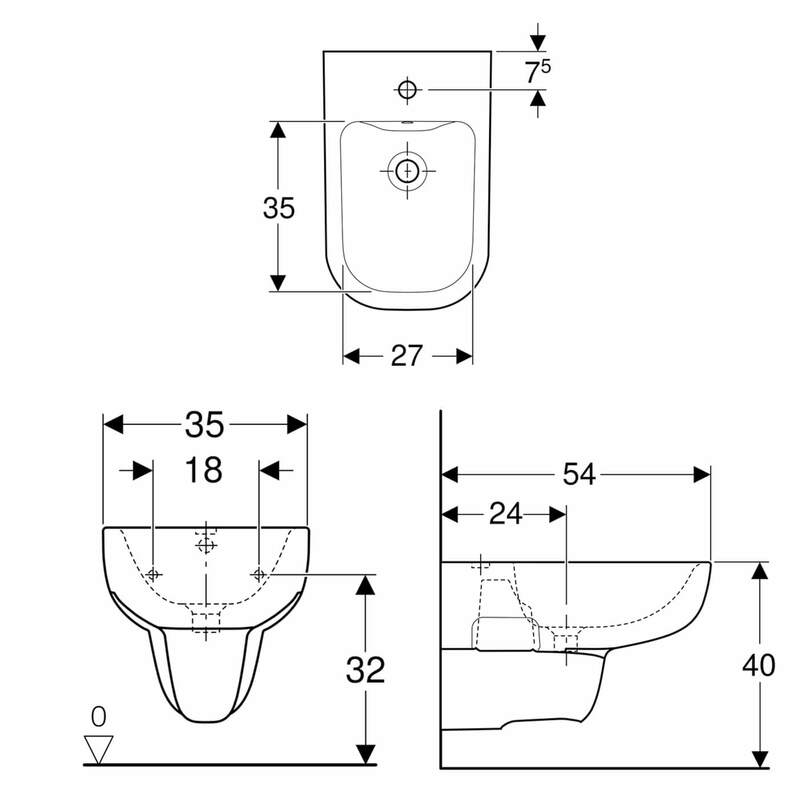 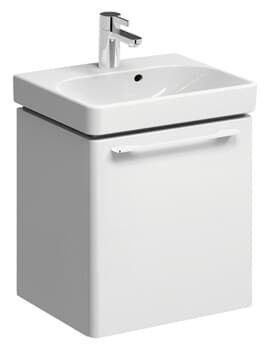 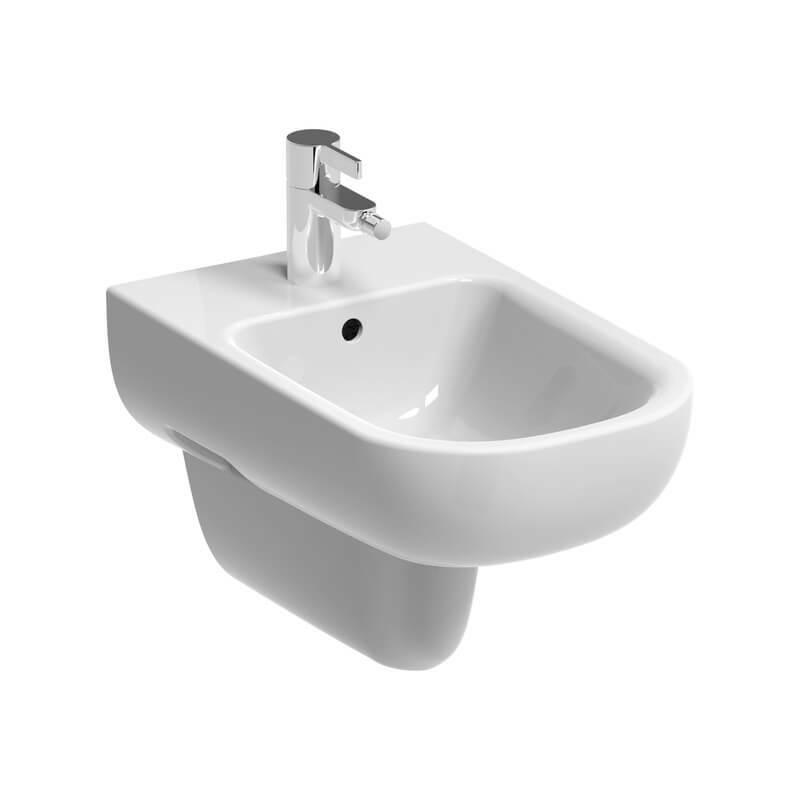 Note: Recommended for Geberit Duofix frame for bidet.